Ezugi software provider allows tipping of their live dealers. If you thought Americans were the only people you were required to tip when we bet you will be shocked to know blackjack dealers need tipping too. But not if you’re in Australia. That’s right – the easy-going down under culture frowns upon the art of flinging the dealer who has just made you a mint a few dollars. This article is standing up for the right’s of the dealers at casinos, by promoting tipping them. This is how you should go about it, if it’s allowed. Why do I need to tip the blackjack dealer? In the same way tipping won’t get you free food in America, tipping your blackjack dealer won’t get you free chips or even better odds. What tipping a blackjack dealer will do is give you better service and even helpful tips you can use in your blackjack career. Ezugi software provider allows tipping of their live dealers. While it isn’t a definitive rule you must tip the blackjack dealer, we believe it is good etiquette and can actually help you out at as a player in the long run. Tipping a dealer is expected in some parts of the world, but not in others. If you are tipping the dealer you should base it on service the dealer is providing in terms of your experience. However, you shouldn’t always be tipping and when you are there are certain ways to do so. How do I tip a blackjack dealer? You don’t throw your tip at the waitress or overtly announce it to a waiter so tipping a blackjack dealer shouldn’t be any different. 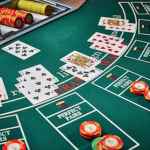 There are two options for blackjack players in terms of tipping their dealers. The first option is basically the same as leaving a tip with the bill end of the night after eating out because they received great service. When you are ready to leave the table, you simply put a chip or chips in the middle of the table, or anywhere on the layout, and tell the dealer it is for them. It is imperative to point out that the chips are for the dealer otherwise they may be mistaken into thinking players are placing another bet. Additionally, this way is best option if you are happy leaving and felt the dealer did a great job. Many players who are up when leaving the blackjack table usually tip the dealer at this point in time. The second option for tipping blackjack dealers is by making a bet on your hand for the dealer alongside your bet and if it wins it goes to the dealer. However, if it loses then the tip chip goes to the casino and not the dealer at all so there are drawbacks to this option. This bet does not need to be the same amount as your bet either and even if it does lose some dealers enjoy the added thrill and appreciate the bet for them so it could ultimately result in elevating your experience. The latter option isn’t as common but it can be more fun for both you and the dealer. For the former option if the dealer has made your overall experience enjoyable, even when you have had a few losses, it is a good idea to tip. However it is important to note how much you can afford to tip as you don’t want to be out of pocket by tipping the blackjack dealer too much. 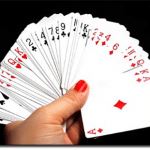 How much and how often should I tip the blackjack dealer? This one is completely up to you. However, many experienced players recommend tipping the blackjack dealer at least $5 every hour. If you can’t afford this however, as you have a set limit, you can tip smaller or less frequently. Other options see players able to tip 10% of every win and nothing on every loss, or players can even work out how many hands they have won and do 10% of that and give it to the dealer at the end when they plan on leaving. If players are planning on making a bet for the dealer’s tip then they can decide how little or big this bet is or even if they want it to match their own. Regardless, this option is completely up to you and where you are playing. For example, higher limit tables may see players tipping a higher amount than those at lower limit tables. This is where another great suggestion is to see what other players are doing at the table. If no one is tipping it might not be etiquette to tip or even legal (see below), or if everyone is tipping a certain amount every two hands or so this might be the way to go. Get a feel for the table and the dealer and decide when, how, and how much to tip with that information. Where shouldn’t I tip blackjack dealers? Casinos located in Australia and New Zealand forbid any kind of tipping to their dealers, regardless of the game. Why this law is in place isn’t completely known however it could perhaps be attributed to the fact that American dealers make peanuts in comparison to Australian dealers. For example, US dealers may only be on the minimum wage of around $7 per hour, while the lowest wage Aussie dealers may be on is around $18 and therefore US dealers rely on their tips. Regardless, if you are playing at an Australian or New Zealand land-based casino you aren’t allowed to tip and if a dealer does take a tip it can actually cost them their jobs. Some UK casinos also don’t permit tipping so if you don’t see any other players tipping it might be a good idea to ask the pit boss what the rules are for that land-based casino. Can I tip online blackjack dealers? Since online blackjack titles are generated by computers and not human dealers you cannot tip them. However, there is an exception -live dealer blackjack. When playing live dealer blackjack there will be an option on the screen to give the dealer a tip or tips if you are feeling generous. You may find yourself more inclined to tip off the live dealer, who is set up in a studio or sometimes a land-based casino and streamed via a HD feed directly to your screen, if they have contributed to your experience and even created an authentic ambience, or you may just want to practice tipping before you head to a land-based casino which does permit tipping and get some confidence before you try it out at a table with other players. Either way, live dealer blackjack is a great option to try out your tipping strategies. Why it may seem silly to tip a live dealer blackjack dealer since you are anonymous to them it can actually be quite beneficial. If the online casino you are playing at offers the chat function in their live dealer blackjack title then we recommend tipping and then using this to your advantage by asking the dealer tips and strategy hints. All you have to to is type out your question and the dealer reads and responds. Since you have tipped the dealer, they are more inclined to respond to you and give you some tips you may not have heard of before.